The beautiful freshwater lake in Wayanad, Pookode Lake lays 15 kilometre away from Kalpetta. Nestled between evergreen forest and Western Ghats, the lake is spread over 13 acre and is 40 m deep. 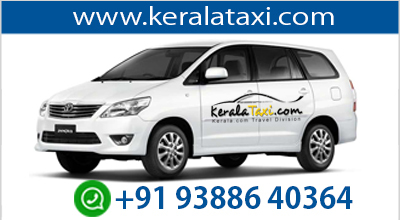 This is one of the most preferred tourist destinations in Wayanad. 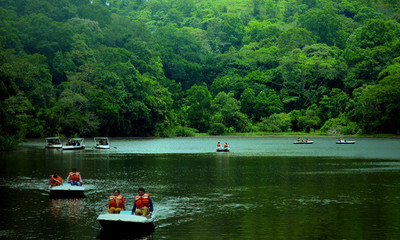 There are boating facilities for the tourist in the Pookode Lake. Pedal boats are available. Boating in the lake, viewing the stunning beauty of the lake is a unique experience. You can also make a visit to the nearby freshwater aquarium, children's park and shopping centre exclusively for handiwork and spices. The shopping centres are owned by District Tourism Promotion Council. You can get plenty of things made up of bamboo and coconut husk at this shopping centre.